Product prices and availability are accurate as of 2019-04-23 14:59:59 EDT and are subject to change. Any price and availability information displayed on http://www.amazon.com/ at the time of purchase will apply to the purchase of this product. A vividly bright red Calla Lily. Leaves are lanceolate and strongly flecked with white. 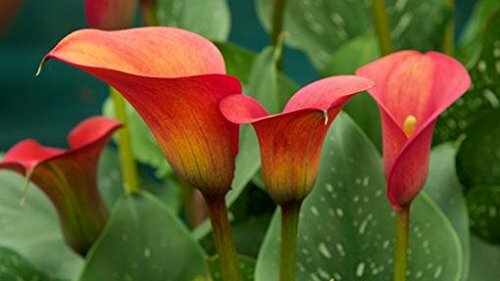 Partial Shade to Full Sun 18-24 inches Tall 14-16 cm Red Alert is a great plant in the shade, waterside plant, indoors, and an excellent cut flower!